Anderson Fire Protection Inc. is pleased to introduce FirePro®, the most innovative and effective suppression system out there, now available in the Ontario, Canada! FirePro® is a raging success in Europe where it began, supporting major companies like Coca-Cola, LG, Samsung, the Hilton and Marriott hotels, and this is just to name a few. With the recently approved ULC listing, Anderson Fire Protection Inc. is now able to exclusively distribute FirePro® products in and around the Greater Toronto Area and we can equip your business with the most advanced and safe suppression system available on the market. Applications: Plant Rooms, Control Rooms, Electrical Sub-Stations, Computer Rooms, Server Rooms, Data Centres, Electrical Panels & Cabinets, Marine Vessels, Telecommunications, Raised Floors, Suspended Ceilings, Motor Vehicles, Electrical Rooms, and More! An environmentally friendly suppression system that won't cause any harm to humans due to its unique chemical compound that suppresses fire without depleting oxygen. Click here to learn more. 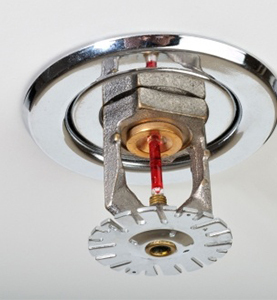 Rather than using harmful chemicals that completely deplete oxygen and/or using cooling agents like other suppression systems, FirePro® uses aerosol to push out the chemical agent that smothers the fire. This compound is called K2CO3, based on potassium salts, this compound searches for free radicals that are associated with the fire. As they quickly bond this neutralizes the reaction and thus, suppresses the fire without depleting oxygen levels. Click here to learn more. 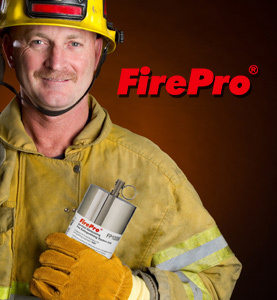 What are the other benefits of FirePro®? It is environmentally friendly and won't negatively impact the ozone layer, it remains stable in a wide temperature range without going off (-54 to 300°C) unlike other similar suppression systems, it is cost effective, easy to install and maintain, non-corrosive. 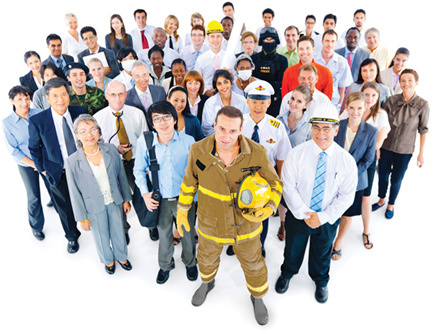 Anderson Fire Protection's memberships with the following organizations allow us to be informed of all new standards and codes applicable to our trade: N.F.P.A. - National Fire Prevention Association, and U.A. Local 853 - Sprinkler Fitters of Ontario. Copyright © 2019 Anderson Fire Protection Inc.